Give your car or truck a treat with an official Oklahoma City Thunder license plate frame and holder spreading team cheer on the road. 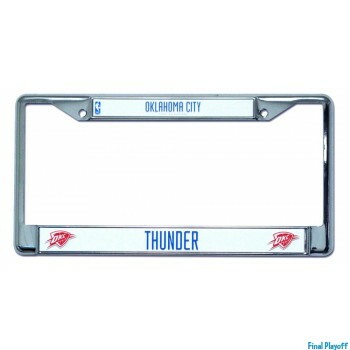 Whether your looking to buy a plastic or metal Oklahoma City Thunder license plate frame we've got different designs to choose from. Plastic or metal Oklahoma City Thunder frame holders are a great choice for being light weight, pre-drilled and economical way to show off your team pride no matter where you are.